Assemble… and bobble! Hulk won't want to smash this bobbler! Based on Bruce Banner's superhero alter ego in Marvel Studio's Avengers: Age of Ultron, fans will enjoy this unique look for the popular character. 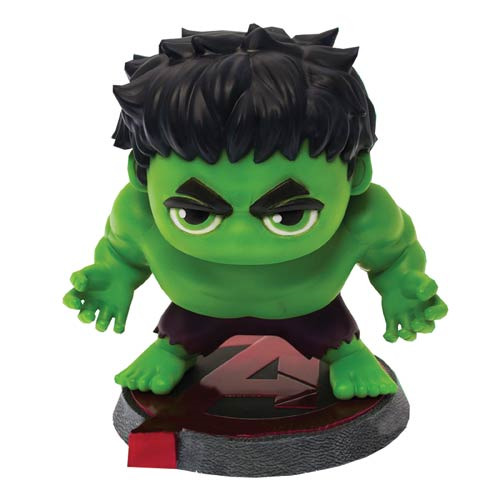 The Avengers: Age of Ultron Hulk Bobble Head comes on an Avengers-themed display base and measures approximately 6-inches tall. Ages 14 and up.